Venezuela will purchase at least 12 fighter jets from Russia, President Nicolas Maduro said Sunday. "I will talk to [Russian] President Vladimir Putin to deliver at least 12 new [Sukhoi] Su [fighter jets] to Venezuela and replace the one lost [on Friday]," Maduro said as quoted by the Noticias24 news website. 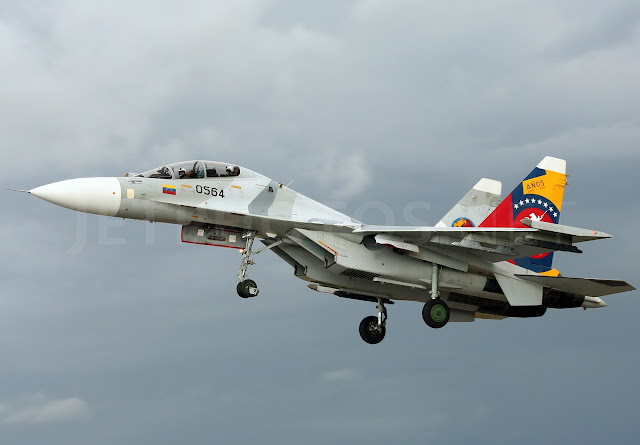 On Friday, a Venezuelan Air Force Sukhoi Su-30 fighter jet crashed on the country's border with Columbia.